Marks/Label: Impressed mark: Elsmore & Forster; label on base Longley. Narrative: Portland shape; manufacturer produced between 1853 and 1871. Part of a set with sugar bowl (75.G.23 A-B) and plate (75.G.23 D). 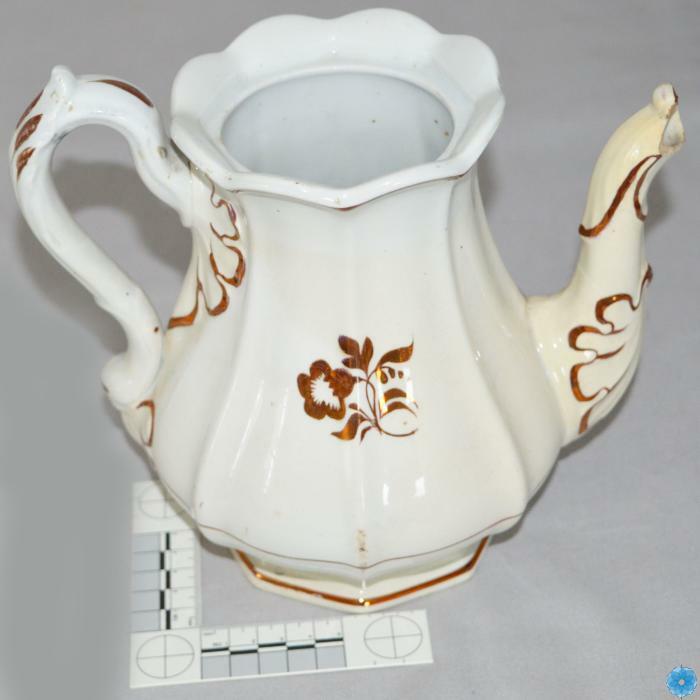 Description: White ironstone teapot with no lid and with copper-lustre hand painted decoration; floral decoration in middle of pot; fluted sides and spout; sketch on accession sheet.